Fishing in South Stoke is not new; there is even a part of the village known as fishponds. 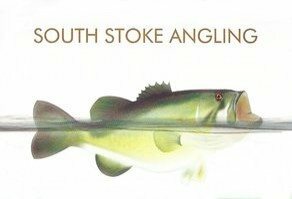 South Stoke Angling is not new either. There was a very successful club back in the late 1970’s that ran into the 1990's. In 2013 Paul Stevens heard that the fishing rights for the local stretch of the river was up for grabs. So after speaking to a number of local fishermen, the South Stoke Angling was reborn. The club has been a great success with close on 150 members, split 50:50 between those that fish and those that just want to support the club. The driving force for all is that the local river should be available to local people to fish and enjoy. The first match was held on the 22nd June 2014 and was called 'The John Phipps Memorial Cup'. John was the President of the club for many years and was a great supporter of village life, so it seemed fitting to honour him. Since then at least one match every month is held during the season from June to March. The major competition in December is the "Perch and Pike Cup" as the pub sponsors the club, even getting Brakspear to mention us on their web site. The club is more than fishing. A number of very successful social evenings have been run, including dinners in the pub and a race night. Due to the success of these events donations have been made to Cancer Charities, Village Defibrillator, and Church Floodlights. Membership starts in March in each year for fishermen and supporters.